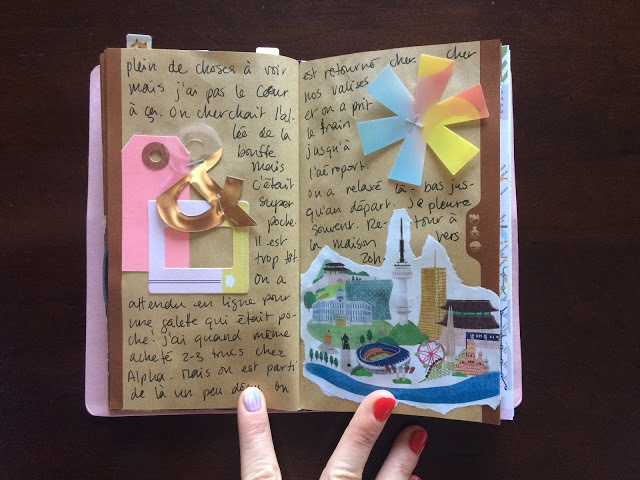 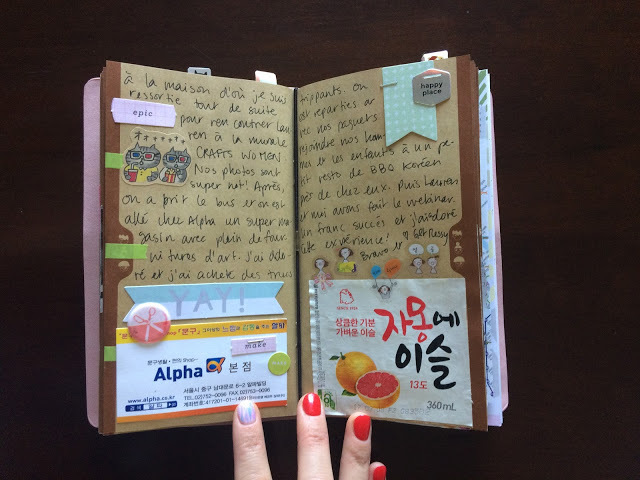 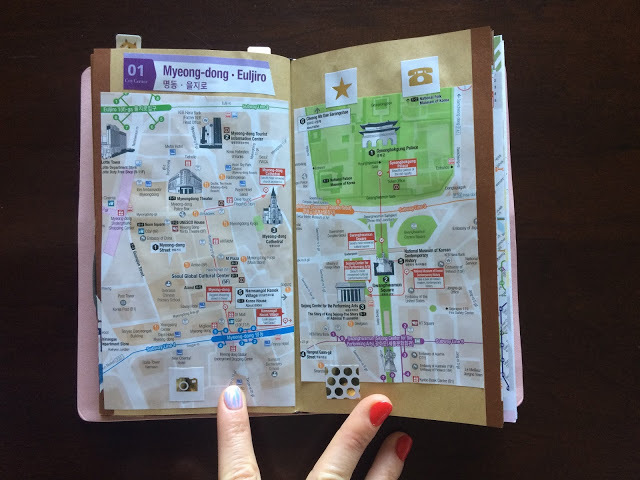 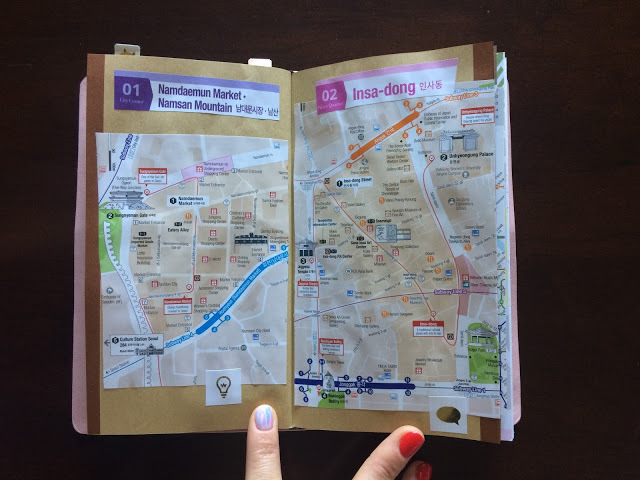 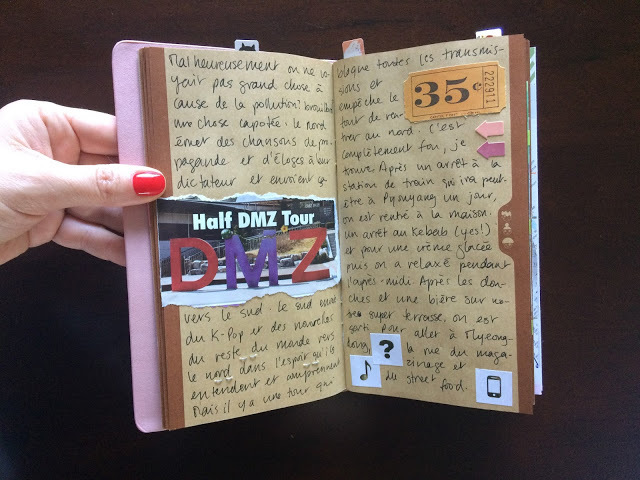 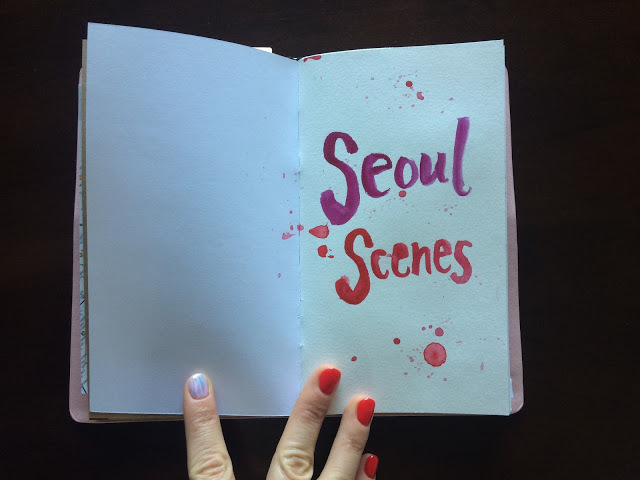 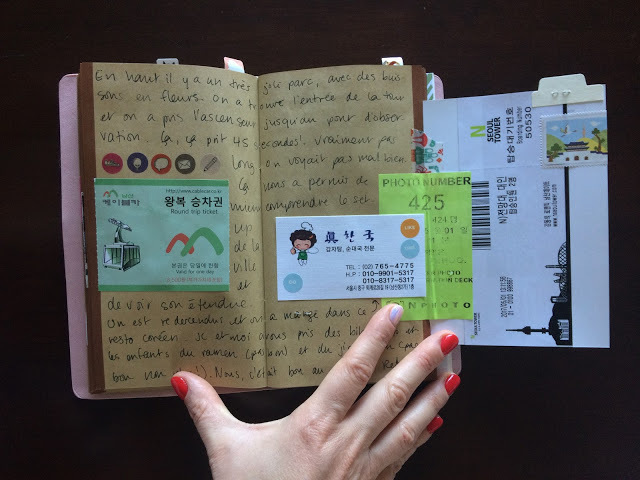 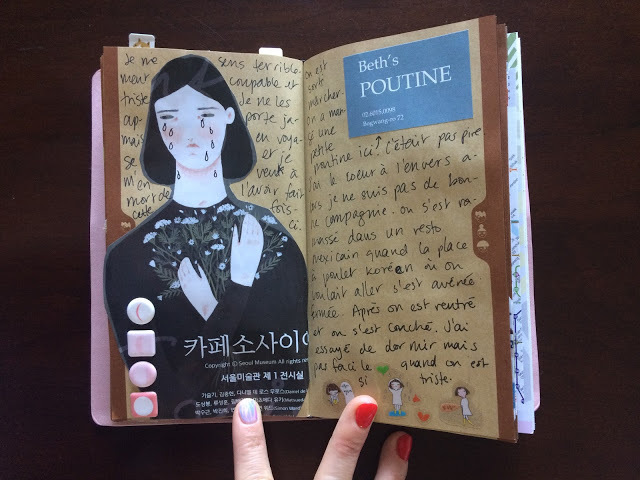 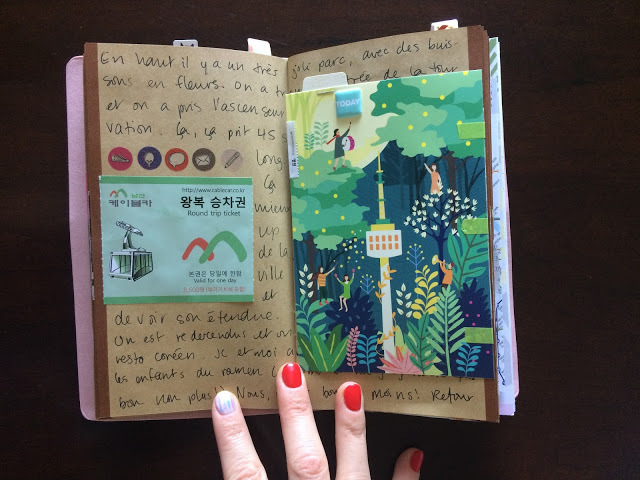 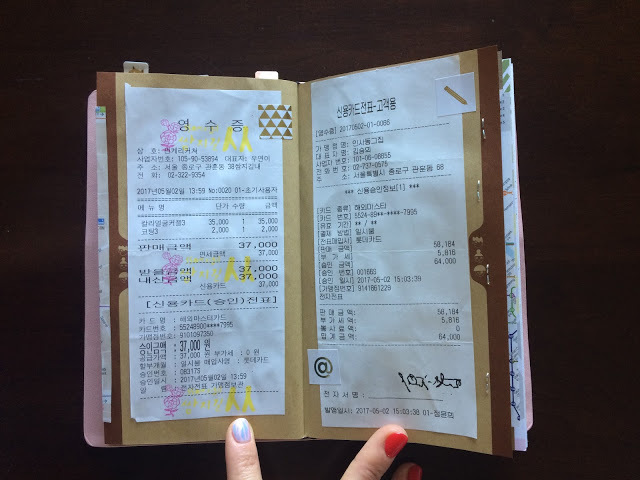 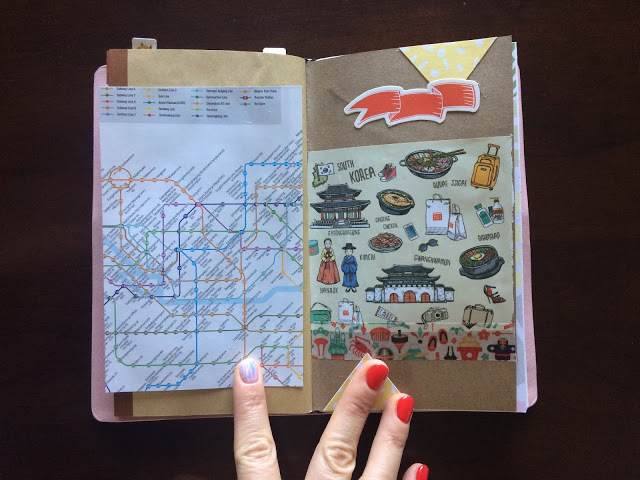 Here is a look at my Seoul travel journal. 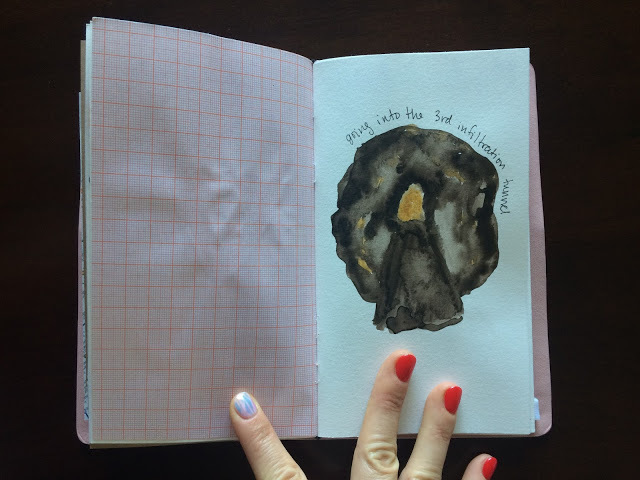 Usually I complete it ASAP, but the loss of my rings totally took any fun away from doing this. 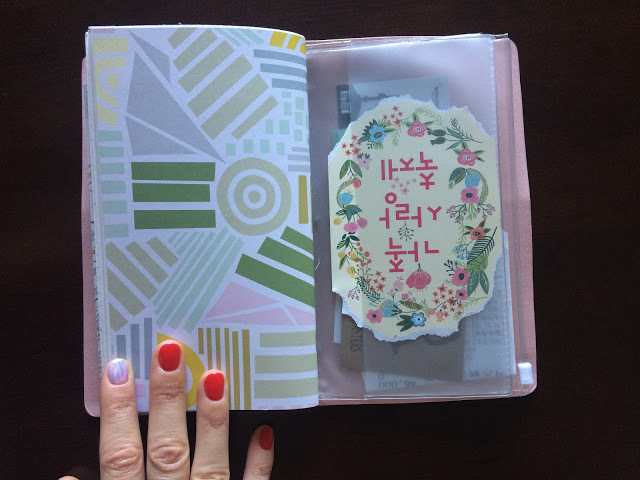 I got back to it in Saturday and finished it. 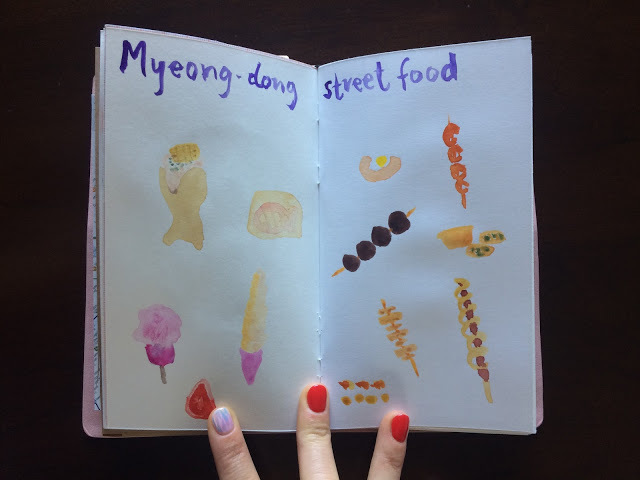 I enjoyed this format a lot. 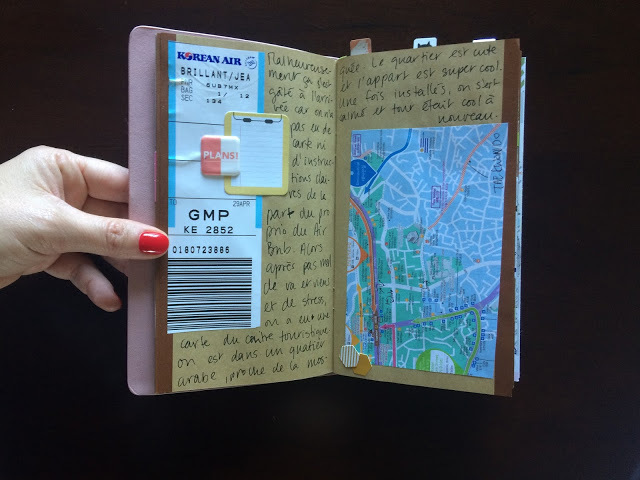 I’m thinking I might have to explore the Traveller’s Notebook world. 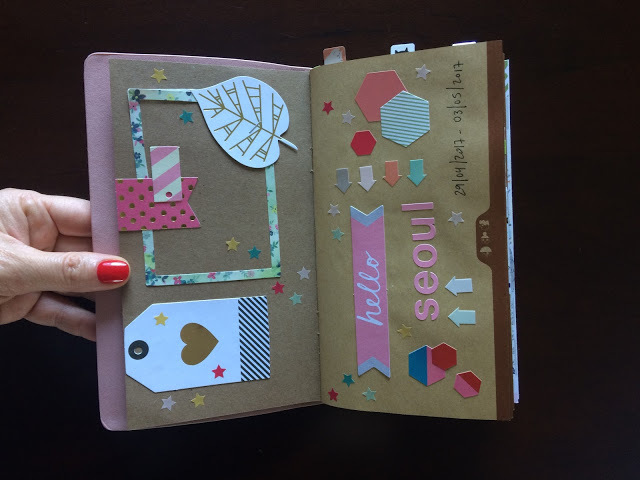 I had big plans and ideas for this watercolour paper insert I made, but they got derailed. 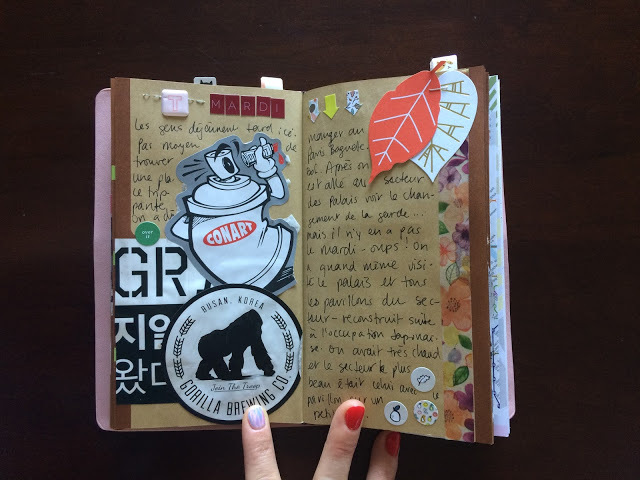 I may go back eventually, but right now I don’t really feel like working on it. 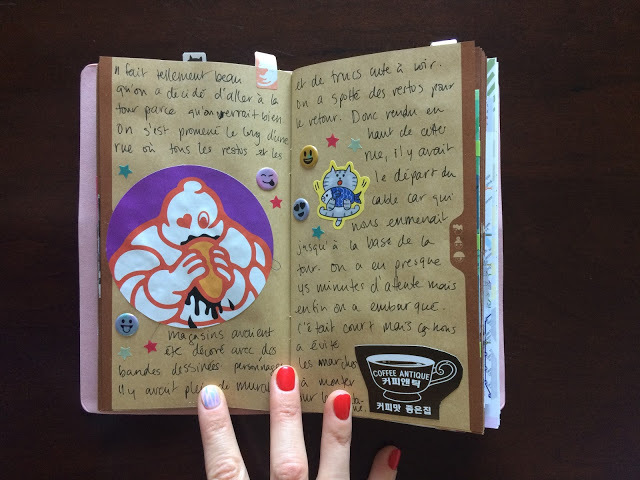 I also love my traveler's notebook! 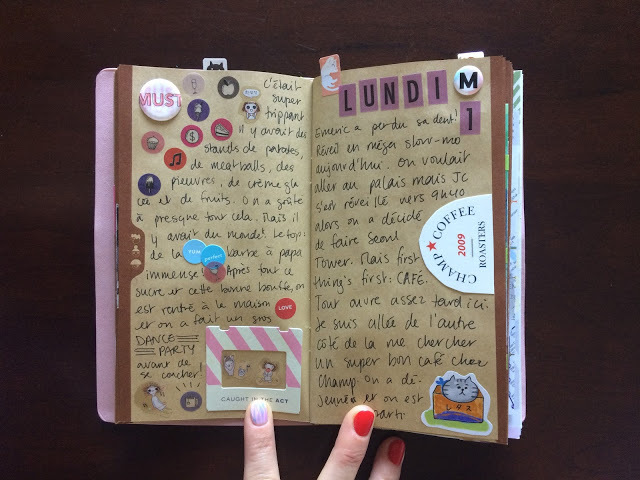 I have it as my daily journal/sketchbook! 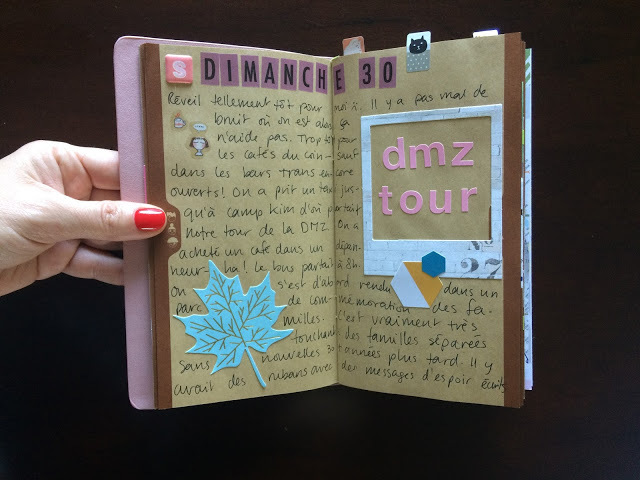 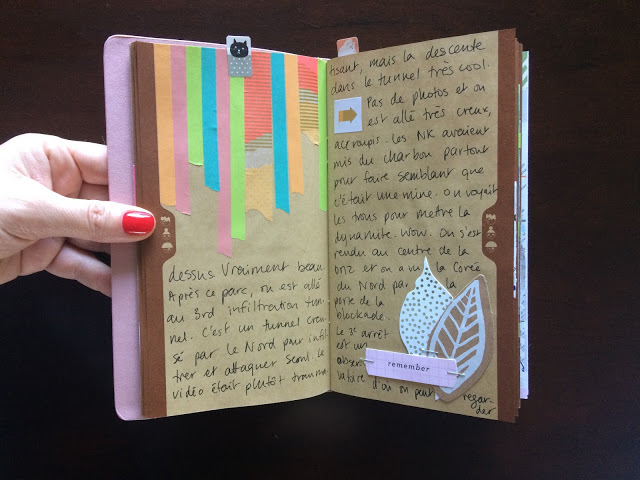 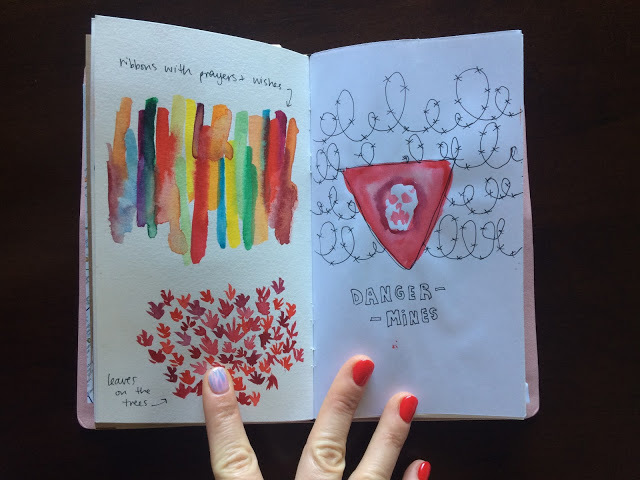 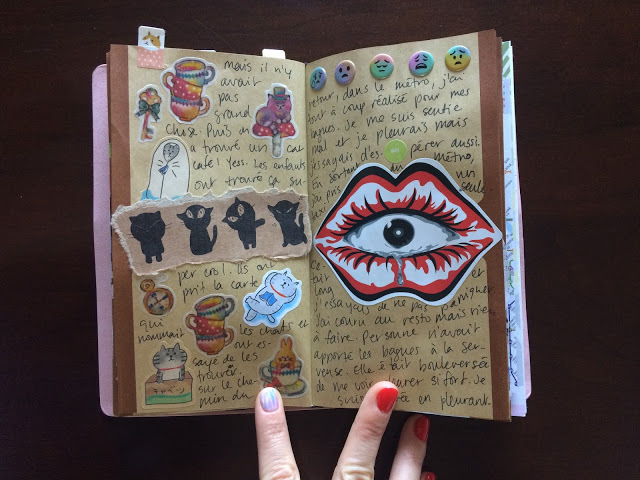 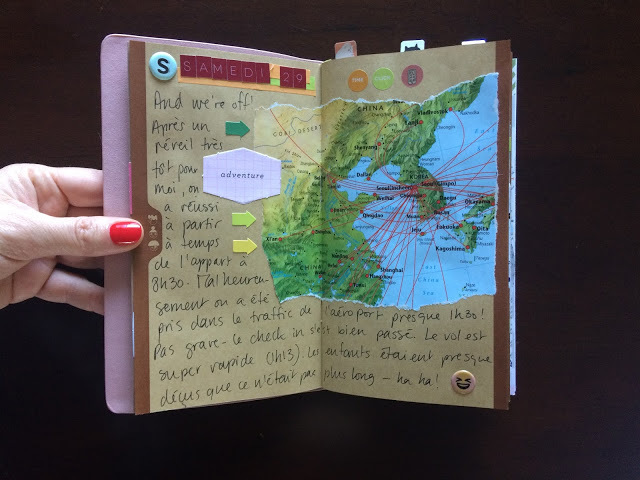 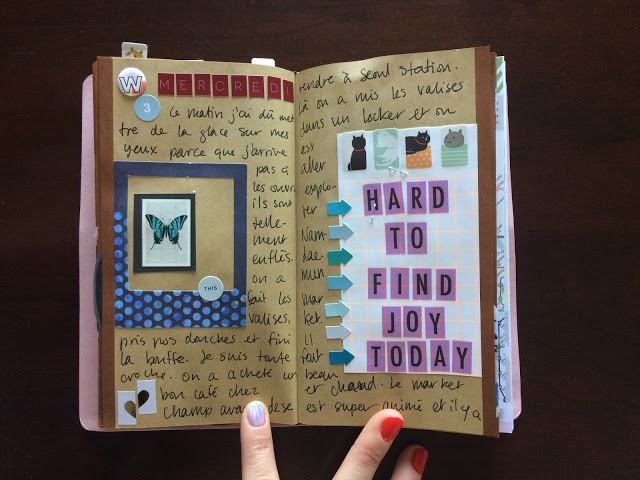 Love this journal's journey, and the live stream on Get Messy!! 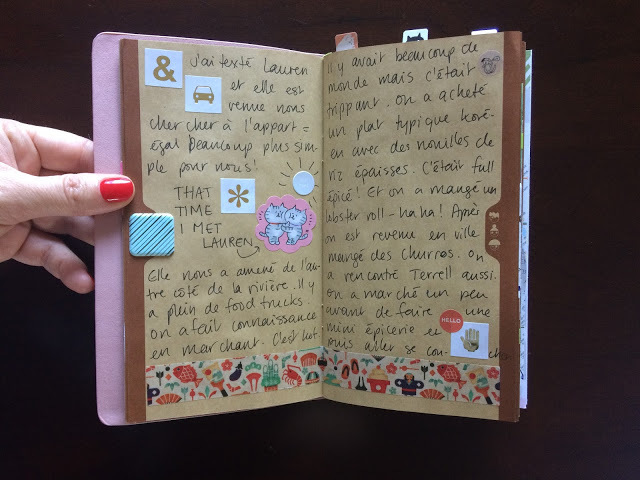 You and Lauren had some great tips! 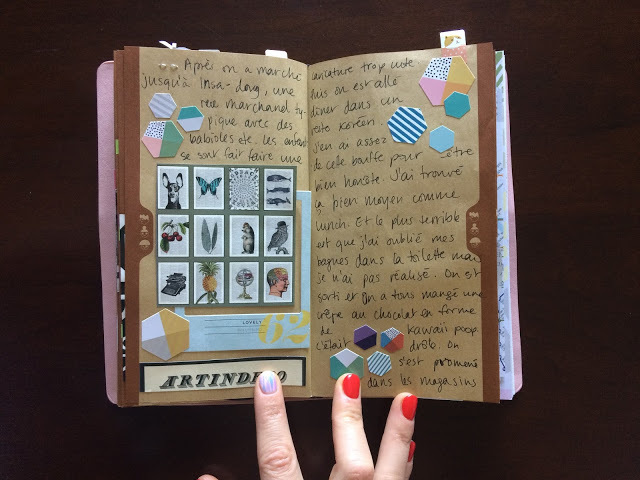 I definitely agree with Ivy, I got lots of wonderfully simple tips from the live stream and now can't wait to go away to put them into practice! 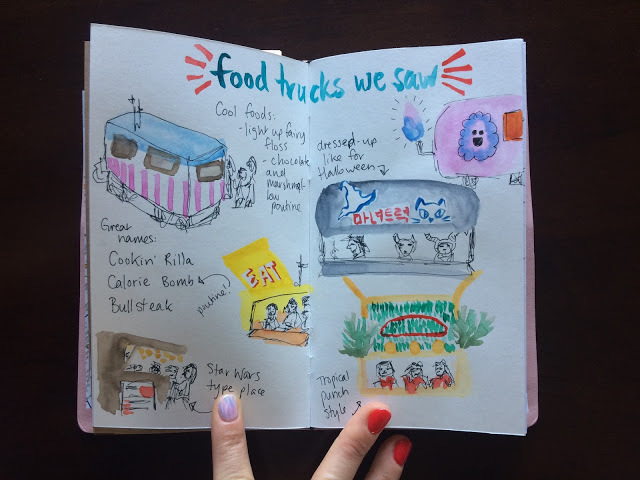 Your food truck sketches are just the best.